Acura’s gateway sport sedan, the refreshed and significantly upgraded 2019 Acura ILX, debuts today, ahead of its October market launch. Continuing to capture the highest percentage of millennial buyers of any model in-segment, the 2019 ILX delivers a sportier and more sophisticated design, premium cabin materials, tech-savvy features and distinctive A-Spec sport appearance variant. 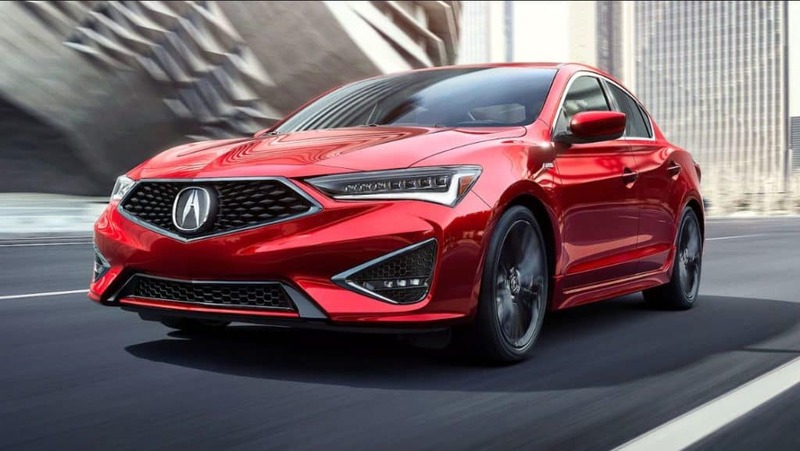 With the application of Acura’s signature Diamond Pentagon Grille to the 2019 Acura ILX, the transformation of the brand’s design language, inspired by the Acura Precision Concept, now stretches across its line-up. Additional upgrades for 2019 include standard AcuraWatch™ active safety and driver-assistive technology and more luxurious and sporty cabin appointments, as well as an available quicker, more responsive dual-screen user interface with updated graphics, and Apple CarPlay™ and Android Auto™ integration. All 2019 Acura ILX models are powered by a naturally aspirated 201-horsepower, 2.4-liter, 16-valve DOHC i-VTEC™ 4-cylinder engine mated to a quick-shifting 8-speed Dual Clutch Transmission (DCT) with steering wheel-mounted paddle shifters. 2019 Acura ILX serves a unique and important role as the gateway vehicle to the Acura brand, bringing in the most first-time Acura customers and youngest buyers. ILX also remains a top choice in the entry luxury segment, gaining more than four points of retail market share in the first half of the year and capturing the highest percentage of millennials of any model in segment, something it has done in every year since 2013. ILX recently topped industry quality rankings in its segment, receiving a Power Circle Rating of 5 out of 5 and a quality award in the Small Premium Car segment in the J.D. Power and Associates 2018 U.S. Initial Quality Study (IQS). Acura ILX also captured the top spot in the entry-luxury car category in Kelley Blue Book’s 5-Year Cost to Own Luxury Brand Awards – with Acura the #1 ranked brand for the third year in a row. The new 2019 Acura ILX A-Spec, available with Premium and Technology Packages, joins the TLX sedan and the RDX and MDX sport-utes in receiving the latest-generation A-Spec treatment, with a more distinctive and easily recognizable performance-inspired character, inside and out. Interior enhancements for the 2019 Acura ILX A-Spec include a graphite-silver dash accent with chrome insert, A-Spec badged steering wheel with contrast stitching and aluminum sport pedals. The all-new sport seats are finished in A-Spec exclusive Ebony or Red leather with black Ultrasuede™ center panels and high contrast stitching. The 2019 Acura ILX will begin arriving at Springfield Acura in October of this year.